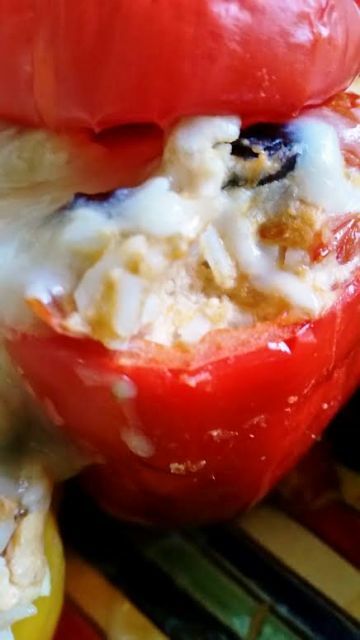 Easy and flavorful Zesty Mexican Stuffed Peppers. 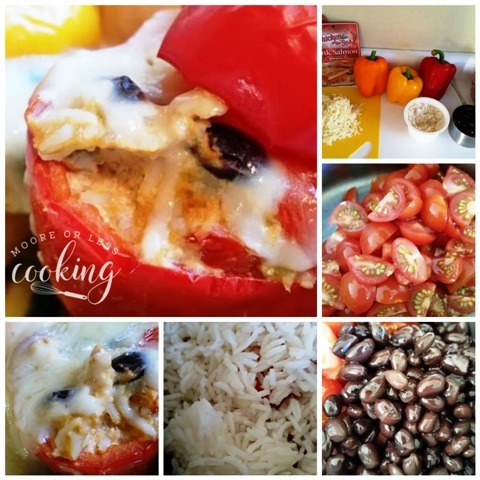 Flavorful stuffed peppers generously filled with a delicious mixture of Chicken of the Sea Sriracha and Wild Salmon, black beans, Minute® Ready to Serve Rice, tomatoes, and a creamy filling all covered with melted cheese. How would you like to win a 7-10-day Alaskan cruise?? I know I would! 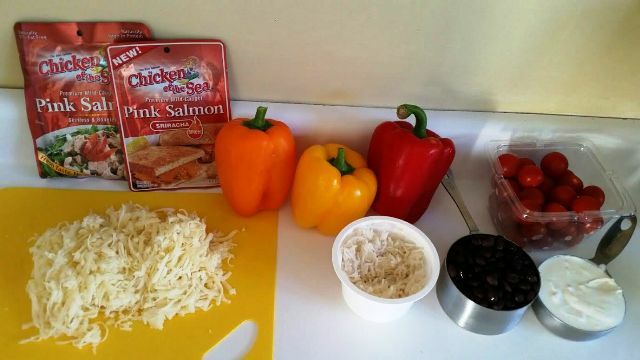 From September 25- October 8, the “Salmon Loves Rice Sweepstakes,” will take place where you can use the hashtag #NationalSalmonDay on their social media platforms to answer salmon trivia questions for a chance to win a 7-10-day Alaskan cruise and Chicken of the Sea Flavored Salmon Pouches and Minute® Ready to Serve Rice products! 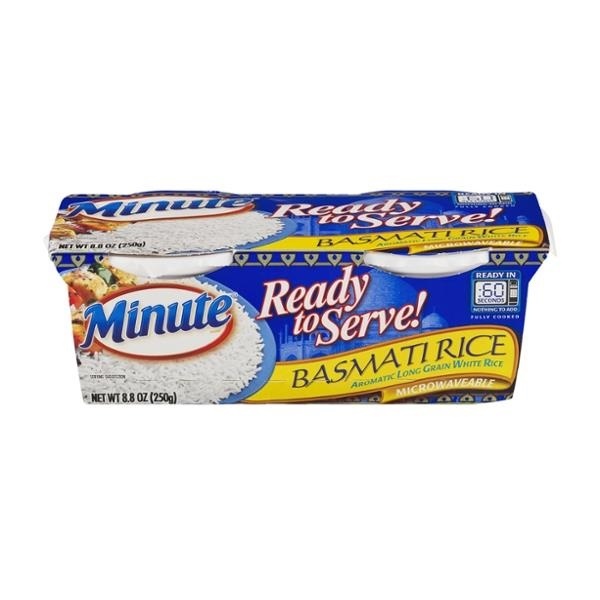 In recognition of National Salmon Day on Oct. 8, 2016, Chicken of the Sea and Minute Ready to Serve Rice have partnered together to make meal-planning easy. While you remember, please enter the Salmon Loves Rice Sweepstakes and I hope to see you on September 27 at 11 a.m. ET in the #SalmonLovesRice Twitter party. 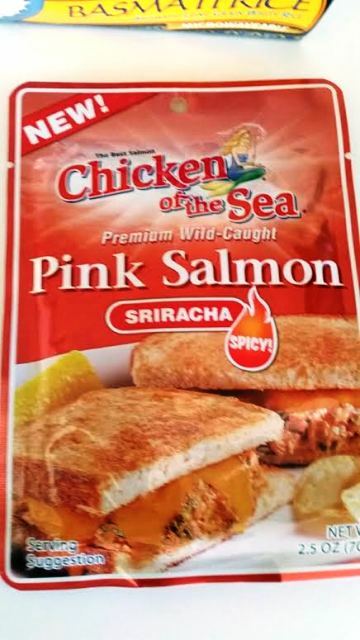 We’ll be using the hashtag #SalmonLovesRice during the party. 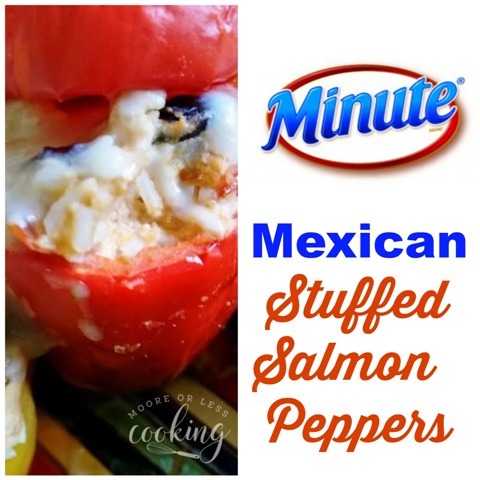 Flavorful stuffed peppers generously filled with a delicious mixture of Chicken of the Sea Sriracha and Wild Salmon, black beans, Minute® Ready to Serve Rice, tomatoes, and a creamy filling all covered with melted cheese. In a saucepan over low heat, add beans, tomatoes, rice, Jack cheese, and sour cream. Stir until blended and warm. Add both packets of salmon.Stir. Remove from heat. 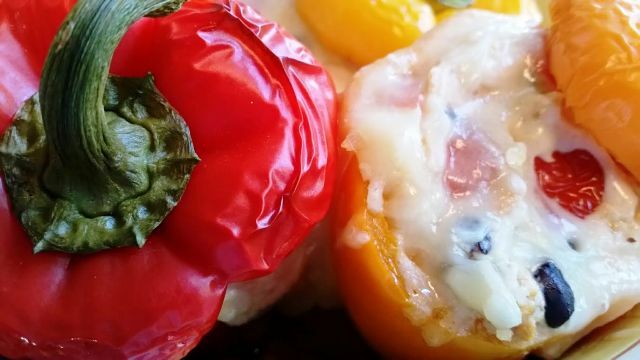 Place bell peppers tightly into baking dish. 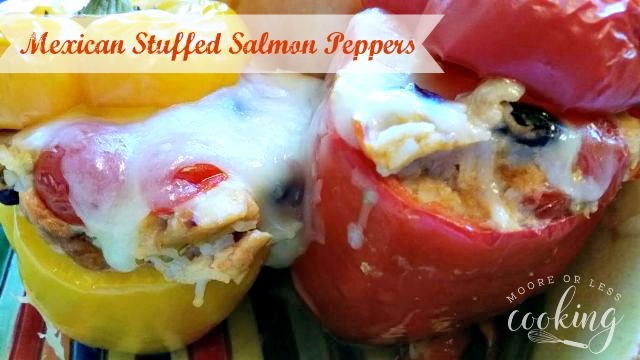 Spoon salmon mixture into the peppers right up to the top. Place baking dish into the oven. Bake for 30-45 minutes, or until peppers are tender. 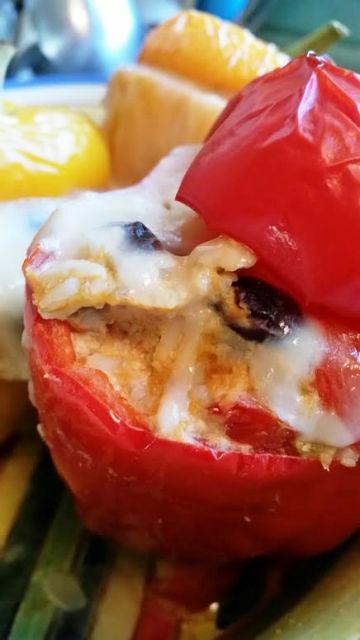 Remove from oven and sprinkle Cheddar cheese on top of peppers.Place back in oven until cheese is melted.